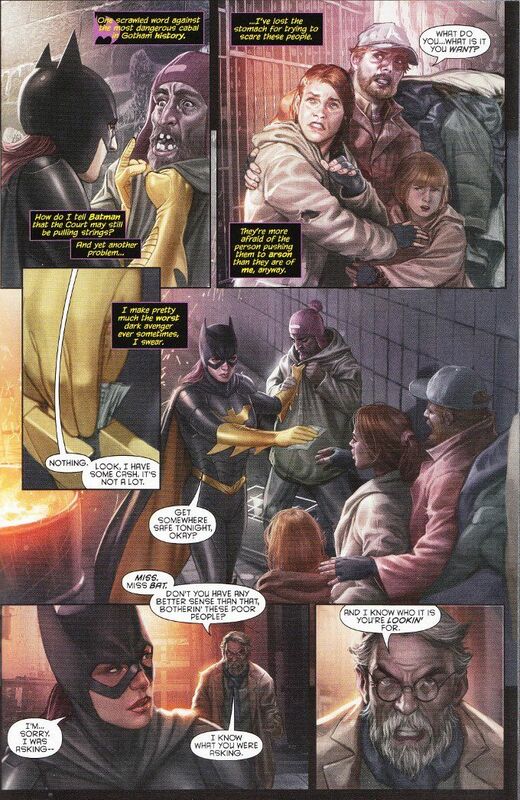 Batgirl Annual #1 is many things. An amazing read on its' own. A wonderful continuation of the Court of Owls saga. A perfect introduction to the characters of Batgirl and Catwoman. A glorious example of how amazing painted comic books can be. It is all those things and so much more. 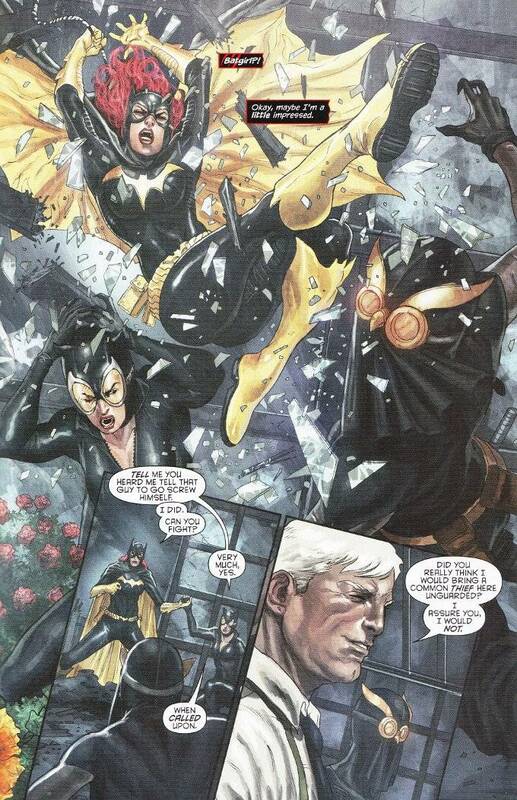 The plot centers upon Batgirl as her investigations into a string of arsons leads her to conclude that the criminal conspiracy known as The Court of Owls is not as dead as previously believed. At the same time, Catwoman has been hired to spring one of the Court's conditioned mercenaries (a.k.a. Talons) from prison but finds herself unable to abandon what she recognizes as a horrible broken woman. The two will find themselves unlikely allies as Catwoman's boss proves to have plans too dark for her to stomach and Batgirl recognizes the Talon Catwoman rescued as the same one that nearly killed her father. The script by Gail Simone has a lot of bases to cover, but it manages it all with style. Batgirl and Catwoman are both quickly established as strong individuals with more in common than either of them suspect. Simone also manages to make the complexities of the Court of Owls storyline and the nature of the Talon assassins accessible for those who might just now be getting into the Batman family of books. The artwork is all-around excellent, though I wish Admira Wijaya had been able to paint the entire issue. That is not to say that Daniel Sampere, who penciled the climax of the book, didn't do a fine job. Far from it. But the sudden shift in the art style is noticeable and distracts somewhat from the ending, though I will allow that the shift occurs at a point when the tone of the story changes as well. I don't know if this was a deliberate choice on the part of the editor but while it serves, I still think having one artist would have been more effective. Regardless, if you have yet to enter into the world of Batgirl, this is a fine time to do so!